A London Michelin star restaurant on the cheap? Yes it is possible. London: Michelin Star Lunch on The Cheap? Yes. Here’s How. London’s food scene is better than ever, and there are ways to have the best meal of your life without the hefty price tag. 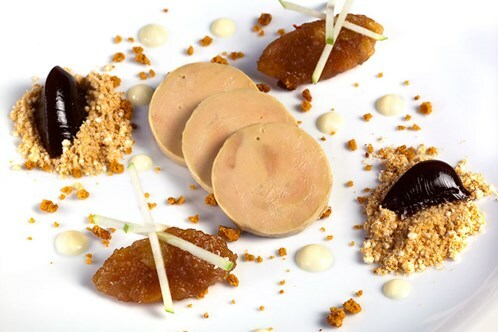 London offers a plethora of fantastic Michelin Star restaurants, and many offer set lunches which are a third or less in price than the dinner menus, and they are all fantastic once-in-a-lifetime dining experiences. 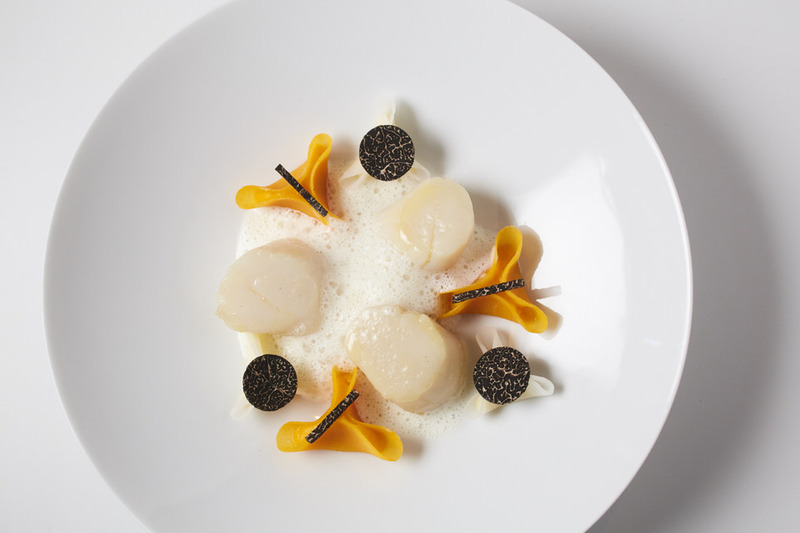 This modern French restaurant is classic British elegance in style and service. 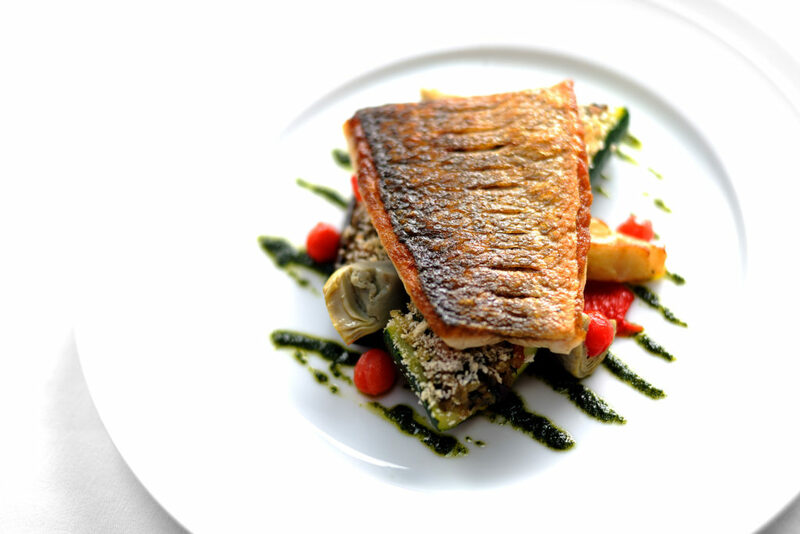 Chef William Drabble is passionate about every aspect of every dish. 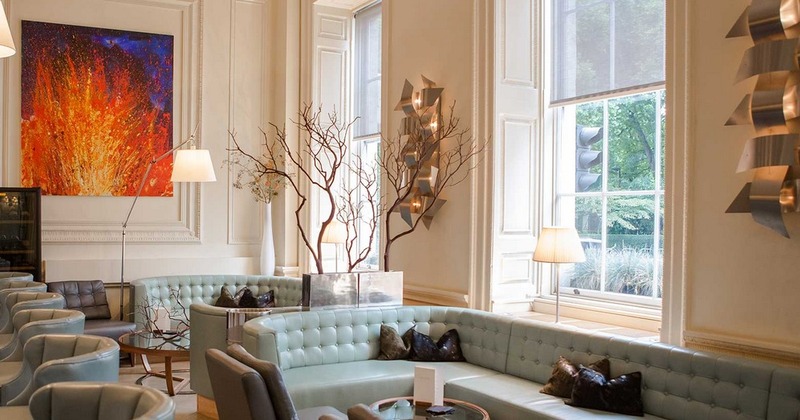 Located in St James Hotel and Club, Mayfair, Seven Park Place has rich furnishings including an elegant bar at the front with seating and windows looking out onto the quintessential English laneway outside. Brilliant for an aperitif. The food (even on the set lunch menu) is astonishing and includes anything from grilled langoustines to cassoulet in winter and varies greatly depending on the seasons and fresh, available British produce. The wine list and wine pairing with each dish is exceptional. You can read my full review on an evening meal here. The lunch menu is the best way to sample it, but there are only 9 tables, so book well ahead, and be warned you will want to return for dinner. Set Lunch; £27.50 for two courses, £32.50 for three. 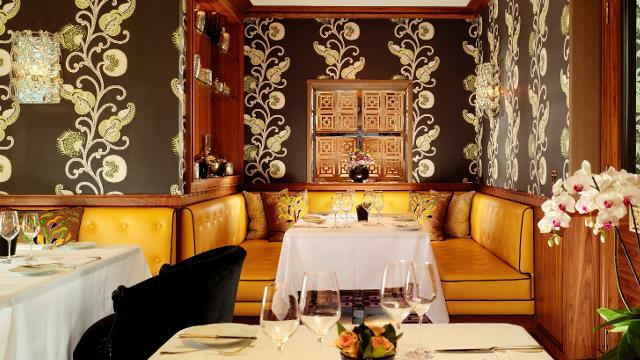 I would pay to simply sit in this restaurant and enjoy the interior design at Texture Restaurant and Champagne Bar . The interiors of this light-filled, stunning restaurant are worthy of an award before you’ve had a mouthful of food. The feel is minimalist, streamlined elegance with towering ceilings, and there’s a huge bar at the front with plush couches perfect before or after a meal. The restaurant has wooden floorboards, tree trunks, and mainly wooden furniture. 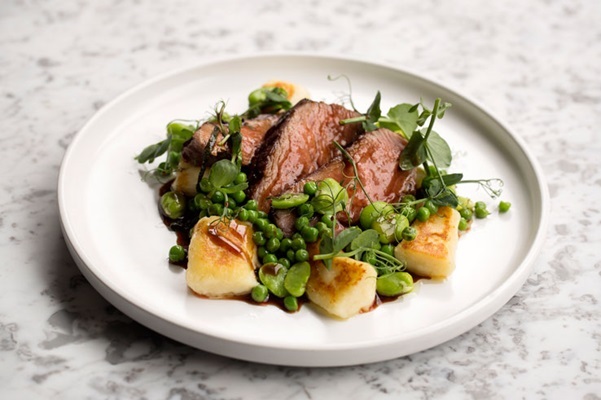 Don’t put off by the Scandanavian food theme here – what that translates to is European style clean, creative, beautifully presented dishes rich in flavours and textures (of course). The set menu is super generous and includes gourmet crisps, bread served with two types of olive oil and two or three courses; £29 for two courses, £33.50 for three. 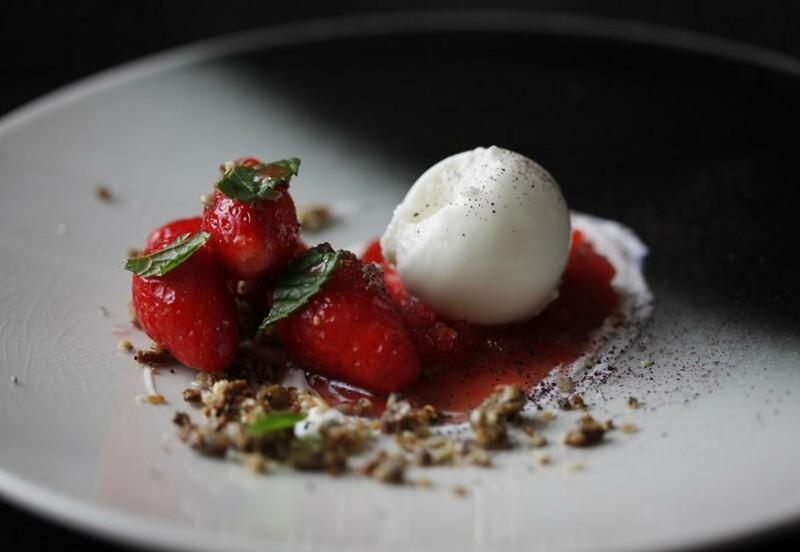 This is a fine dining experience to dress up for – and be prepared to take lots of photos as the menu has some of the most striking, instagrammable dishes in London. 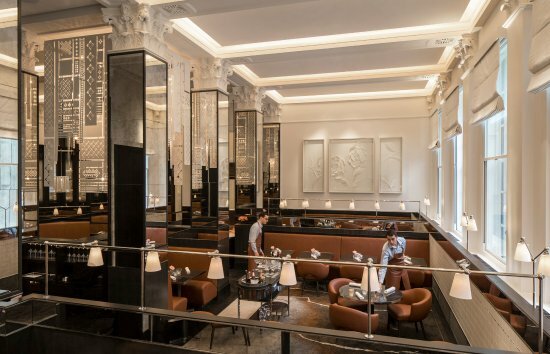 Located in the new Four Seasons Hotel Trinity Square, the food is French and made by renowned French chef Anne-Sophie Pic who herself holds three Michelin Stars. This takes dining to a whole new level, you will love it. You can read my full review of the dinner menu here. Set Lunch; £29 two courses £39 for three. 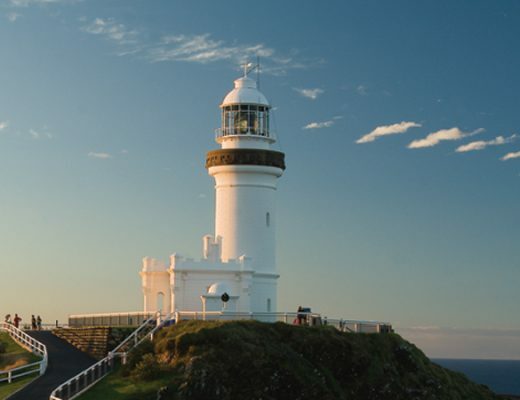 This gorgeous restaurant is brilliant if you want a relaxed feel with exceptional cuisine. It has the casual feel of a local neighbourhood restaurant but food fit for one of the world’s leading restaurants. It’s a unique combination I really like. The food is English with French reflections, and can include fresh fish, spring chicken, or shoulder of lamb. Desserts are heaven. Again, you will want to return for dinner, for me, lunch just was not enough. Set lunch is £25 for two courses, £28 for three. This restaurant is not Michelin star (yet) but is a fantastic informal dining experience, most particularly as it has one of the best wine lists in London, with a huge selection by the glass. The man behind it is Xavier Rousset, who was the youngest master sommelier in the world, and who was one of the founders of Texture restaurant ( see above) which won a Michelin star within three years of opening. 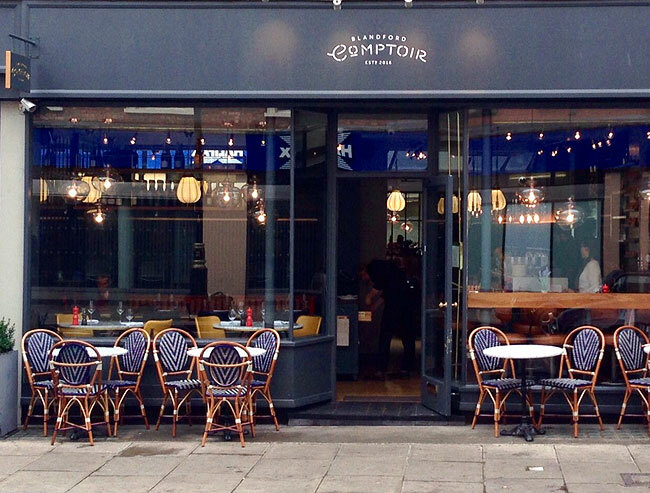 Food at Blanford Comptoir is high end modern European, and it’s located right on the street in Marylebone with an upmarket brasserie feel and gorgeous windows where light streams in all day. The set lunch menu changes weekly and is a steal at £20 for two courses. The wine to match will blow your mind.